Northeast Ohio gas prices are up by almost six cents this week to $2.411 per gallon according to AAA East Central’s Gas Price Report. 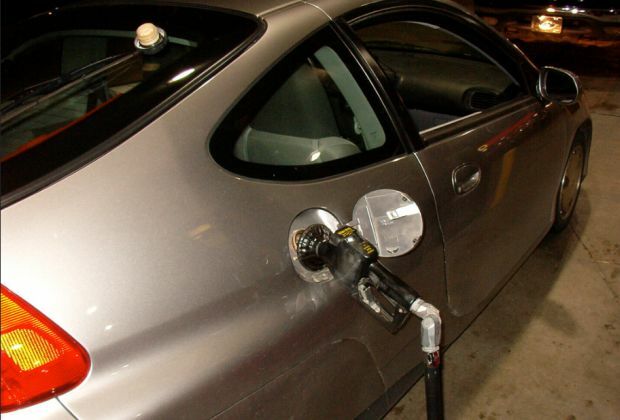 Gas prices rose sharply in the Great Lakes and Central region on the week. The one exception is Ohio, which is the only state in the country where the average dropped (-1 cent). For a second week, gasoline inventories dropped. According to Energy Information Administration (EIA) data, the region took a 1.3 million barrel drop to register at 58.8 million. Overall, inventory levels stand just below this time last year, but about 3.5 million above the five-year average for this time of year. With the arrival of spring, gas prices are more expensive nationwide. The national gas price average is $2.61, which is a nickel more expensive on the week. Six states are seeing double-digit increases: Idaho (+16 cents), Utah (+14 cents), Delaware (+13 cents), New Mexico (+12 cents), South Carolina (+10 cents) and Maryland (+10 cents). As prices soar, the (EIA) reports that demand dropped to 9.3 million b/d as gasoline stocks dipped (1.7 million b/d) on the week. At the close of Friday’s formal trading session on the NYMEX, West Texas Intermediate increased $1.58 to settle at $65.88. The futures market for crude oil rallied last week after EIA's report revealed crude inventories fell for the third consecutive week. Crude oil inventories dropped 2.6 million barrels from the previous week, and storage levels across the country now total 428.3 million barrels. When compared to last March, current domestic crude inventories are 104.8 million barrels lower. This year-over-year change could be attributed to higher than usual gasoline demand in the U.S. for this time of the year, which has also coincided with growing crude and gasoline exports from the U.S.